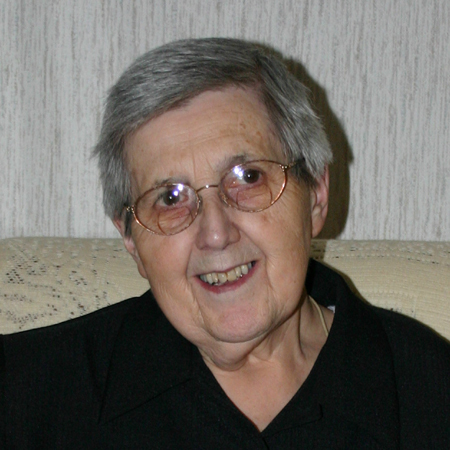 Provide comfort for the family of Clara Ruetz with a meaningful gesture of sympathy. Clara Mary Ruetz (nee Reinhart), passed away peacefully, with her family at her side, on Wednesday, January 30th, 2019 in her 93rd year. Cherished and much loved mother of Leona Grubb of Walkerton, Helen & Jerry Kieffer of Shelburne, George & Marie Ruetz of Teeswater, Alice & Murray McCulloch of Harriston, Ed & Karen Ruetz of Hanover, Dennis & Joanne Ruetz of Formosa, Rita & Ron Murray, Elmer & Lorraine Ruetz, Theresa & Bill Dietrich and Lloyd & Janet Ruetz all of Mildmay. Loving grandmother of 28 grandchildren and 36 great-grandchildren. Survived by her sister Georgina Reinhardt of Walkerton, and in-laws Harvey Hinsperger of Walkerton and Merritta Ruetz of Mildmay. Fondly remembered by many nieces and nephews. Clara was predeceased by her husband Joseph Ruetz (2003) and son-in-law Edward Grubb (2006), her parents George and Agnes (nee Dosman) Reinhart and in-laws Clarence Ruetz, Bernard Ruetz, Leo & Laverne Ruetz, Marie & Joseph Fischer, Irene Hinsperger, Seraphine & Sybilla Ruetz and Wilbert Reinhardt. Clara's family will receive relatives and friends from 2:00 p.m. until 4:00 p.m. and from 7:00 p.m. until 9:00 p.m. on Friday at the Cameron Funeral Home, Walkerton (1106 Yonge Street South). Parish prayers will be held at 2:00 p.m.
Mass of Christian Burial will be celebrated on Saturday, February 2nd, 2019 at 2:00 p.m. at Sacred Heart Church, Mildmay (12 Church Street). Father Duy Nguyen officiating. Spring interment in Sacred Heart Cemetery, Mildmay. As expressions of sympathy, donations to the Walkerton & District Hospital Foundation - CT Scan or the Sacred Heart Building Fund, Mildmay would be appreciated by the family. Cards available at the funeral home. Visit www.cameronfuneralhomes.com to view Clara's memorial. Parish prayers will be held at 2:00 p.m.
Our sincere sympathy. Treasure your memories.